New documents show that a few countries with significant solar manufacturing facilities are exempt from Trump’s new solar tariffs, which could help U.S. developers. The exemption could be meaningful for Adani, the largest cell and module manufacturer in India. The market impact from new solar tariffs announced earlier this week is shaping up to be less severe than it could have been. But while analysts don't expect solar cell and module prices to skyrocket, some big business decisions will be made in the coming weeks and months around the modest price increase -- which has prompted a series of questions around how, exactly, the new tariffs will be implemented. One of the interesting pieces of information revealed in trade documents obtained by GTM this week is that crystalline silicon solar products from India are not subject to the new tariffs. 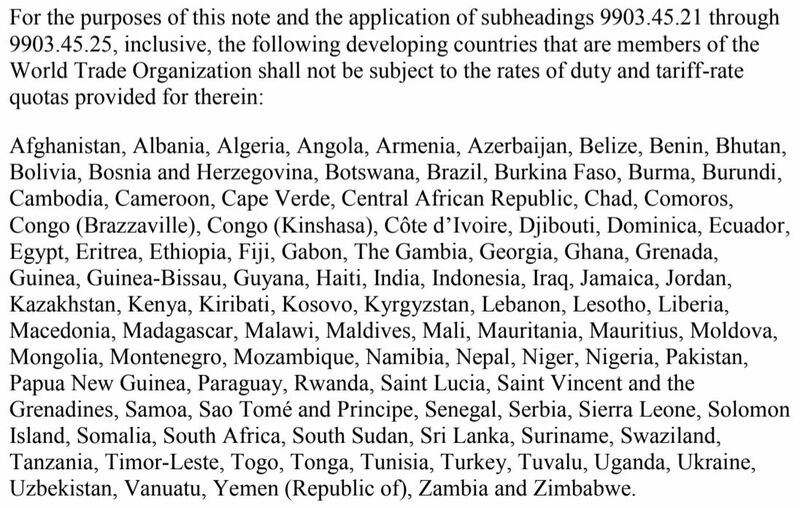 Annex I of President Trump’s proclamation confirms India is on the list of Generalized System of Preferences (GSP) beneficiary countries, which are exempt from import tariffs because they currently account for a small portion of U.S. solar imports. This is significant for the manufacturers operating in India -- and there are several notable ones -- and for U.S. solar project developers looking to procure tariff-free panels. Imports from GSP countries are limited to 3 percent of U.S. crystalline silicon solar (CSPV) imports per country and 9 percent total for all exempt countries. Furthermore, it’s unclear what the 3 and 9 percent figures are based on. The reference period for those import quantities has not yet been determined. Let’s assume for a moment that it’s 3 percent of the 10.2 gigawatts of crystalline silicon solar modules imported in 2017, as per the U.S. International Trade Commission’s pre-hearing staff report (note: that number is likely incomplete because it's based on a survey of companies that made up 80 percent of imports in 2016). Using the 10.2-gigawatt figure, the tariff-free amount per GSP country would equate to around 300 megawatts. Looking across GSP countries, collective imports totaled less than 1 percent in 2017, coming in well under the 9 percent cap. That would allow for a total of around 800 megawatts of tariff-exempt solar products -- again, assuming 10.2 gigawatts is the benchmark. According to GTM Research data, India was responsible for around 0.08 percent of solar products imported into U.S. in 2016, and was likely around 0.1 percent of imports in 2017. That means solar imports from India could swell to 2.9 percent in 2018, or nearly 300 megawatts based on the calculation above. This could represent a meaningful opportunity for Adani, which currently operates a 1.2-gigawatt cell and module manufacturing plant in India, making it the largest tariff-free CSPV manufacturer in the world. Tata Power Solar and Vikram Solar are also in a position to boost their exports to the U.S. Chinese-owned manufacturers operating in India, including Longi, Hareon Solar and GCL-Poly could get in on the action, too -- although the status of their India-based factories is not well known. “I definitely expect some installers to take advantage of Indian supply,” she added. Turkey is another notable GSP country. Csun, Hanwha and HT-SAAE all have facilities there that are forecast to reach a total of 1.6 gigawatts of module supply and 1 gigawatt of cell supply in 2018. Those facilities were initially set up to serve the European market, said Jones, but these suppliers may decide to take advantage of the U.S. market opportunity. Brazil is also on the GSP list and has around 1.4 gigawatts of CSPV module manufacturing capacity. But it’s unlikely to play a major role in the U.S. because Brazil’s domestic content is needed for development bank financing, according to Jones. The tricky thing about taking advantage of the GSP country carve-out is that once the 3 or 9 percent threshold is hit, the president has the authority to slap on tariffs, as per the proclamation he signed earlier in the week. And it’s not entirely clear how the tariffs will be applied. There could be a snapback provision, where tariffs are applied immediately as soon as the import limit is reached -- meaning U.S. Customs and Border Protection would have the ability to enact tariffs in real time. But sources say it’s more likely the Office of the U.S. Trade Representative (USTR) will have to get involved in order to change the rules for an exempt country. According to trade lawyers, one approach would be for the USTR to assess import data on a rolling basis, say, quarterly or biannually, and calculate each country’s share of imports over that period of time. So if India were to exceed the 3 percent limit for the reference period -- which, again, has yet to be determined -- in the second quarter of 2018, in this scenario it could take the USTR until the end of the year to complete its calculations for that quarter, and it could take several more months to change the rules so that India is no longer exempt. Theoretically, India-based module producers could continue to import tariff-free all the while, despite having technically passed the threshold. But then there’s a question of whether tariffs are applied to overages retroactively, or only to imported products going forward. Exempt solar manufacturers will be hesitant to take ambitious action if they believe they could be penalized later on. It’s a tricky position to be in, especially since the 3 and 9 percent limits are likely to be assessed on a first-come, first-served basis, according to one trade lawyer. So companies with available module capacity are incentivized to act quickly to take advantage of the GSP opportunity. The same could be true for cell manufacturers. The Section 201 solar decision allows for 2.5 gigawatts of solar cells to be imported each year of the four-year tariff period. The USTR has yet to confirm if or how that amount will be allocated. If there are no country-based allocations, it will become a race-to-the-port scenario. Additional information should become available in the coming days, with the tariffs scheduled to take effect on February 7. On February 22, the USTR will release the rules for companies seeking exemptions from the tariffs. 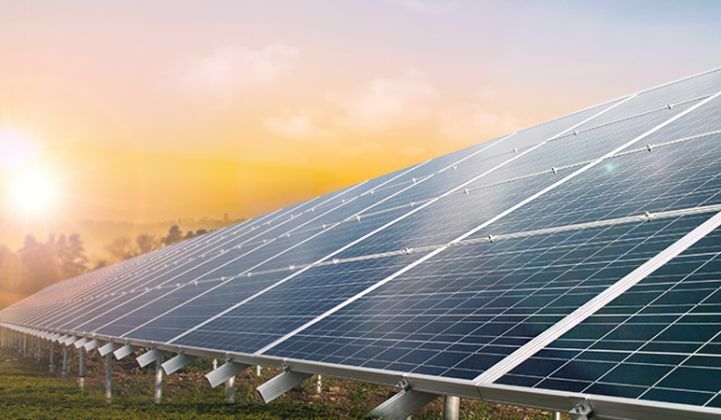 The possibility of an exemption is particularly significant for San Jose-based SunPower, which announced this week it is canceling $20 million in investment as a result of the tariffs. Amid all of the uncertainty and planning, many solar companies affected by the tariffs -- both in the U.S. and abroad -- are hoping there will be a successful challenge to the tariffs at the World Trade Organization. If the WTO authorizes members to implement retaliatory measures, the U.S. solar tariffs could quickly disappear. While the WTO process typically takes 12 to 18 months, no global safeguard measure has escaped WTO condemnation in the past.